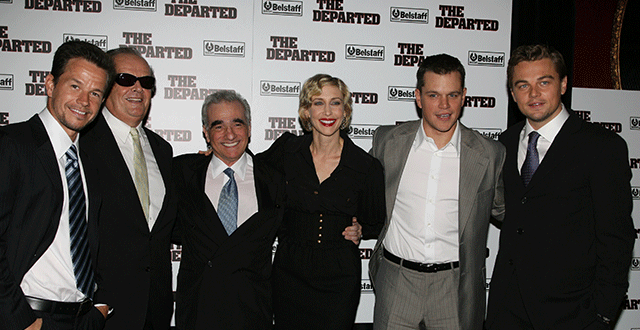 On Tuesday, September 26th, Warner Bros. hosted the premiere of Martin Scorsese's new film THE DEPARTED at the Ziegfeld Theater in New York, with an after-party at Guastavino’s. The evening benefited Scorsese’s non-profit film preservation organization, The Film Foundation. Set in Boston, the tightly-paced film tells the tales of two undercover informants - one a member of the local crime syndicate who has infiltrated the State Police, the other a State Trooper who’s gone deep undercover as a criminal in the syndicate. When it becomes apparent to both the police and the mob that moles are in their midst, each informant must race against time to discover the other’s identity. The film stars Leonardo DiCaprio, Matt Damon, Jack Nicholson, Mark Wahlberg, Martin Sheen, Ray Winstone, Vera Farmiga, Alec Baldwin, and Anthony Anderson, many of whom were among the guests at the premiere. A special thanks to the Leonardo DiCaprio Foundation, DirecTV, Absolut, Bloom Hergott Diemer Rosenthal & LaViolette, Endeavor, the Firm, and Technicolor/Thomson for their support of the evening.